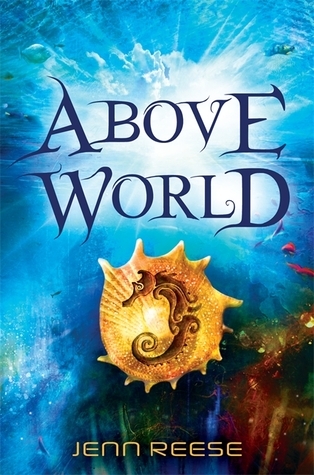 GoodReads Summary: Thirteen-year-old Aluna has lived her entire life under the ocean with the Coral Kampii in the City of Shifting Tides. But after centuries spent hidden from the Above World, her colony’s survival is in doubt. The Kampii’s breathing necklaces are failing, but the elders are unwilling to venture above water to seek answers. Only headstrong Aluna and her friend Hoku are stubborn and bold enough to face the terrors of land to search for way to save their people. What I Think: I was completely drawn to the cover of this book. Isn't it beautiful? Candlewick does an amazing job with their book covers, if I do say so myself. I was really excited that this book was a middle grade dystopian. I wasn't sure how intense it would get, but Aluna and Hoku really are thrown into the gauntlet - or, I should say, they throw themselves into the gauntlet. They definitely want to do whatever they can to help their people. They are able to see how close-minded their leaders are being and take it into their own hands to make a difference. The main characters end up meeting so many interesting characters who are hybrids of humans and other animals. I thought that was very creative. In a way, it reminded me of the flying monkeys from The Wizard of Oz. From the standpoint of talking to kids about this book, I would be asking them to look at how the author goes back and forth between her two main characters. Aluna and Hoku are very different; they each have their own strengths and weaknesses yet they both truly care for each other and make decisions based off of that. It's so interesting to me how they both grow throughout the book but each in his or her own way. I think this is something important for readers to pay attention to but also that writers can learn from as well. I can't write this review without mentioning the action and excitement that builds as the book goes on. I would have given this book five hearts based solely on the fighting scenes. I think Reese does a great job of bringing these scenes to life. (The only thing that held me back from giving the book five stars was figuring out whether they were in the water or the Above World at the end of the book...it was just a bit unclear.) I noticed in the acknowledgements that Reese mentions her martial arts family and I can definitely see how her experience with that helped to make the fighting scenes believable. She glowered, her blistered hands curling into fists. She couldn't speak, not without screaming. Where was the proud, honorable man the rest of the Kampii saw when they looked at her father? All she saw was a coward. A coward who was perpetually disppointed in her. Writing Prompts: Write about a time in your life when you had to trust in yourself and do what something you believed in.